So if you know me at all, this post may be a little bit of a shocker. Because I never, ever eat coleslaw. Like hardly ever can I find one that I like. So of course I’ve never made it myself before, because gross, right?? 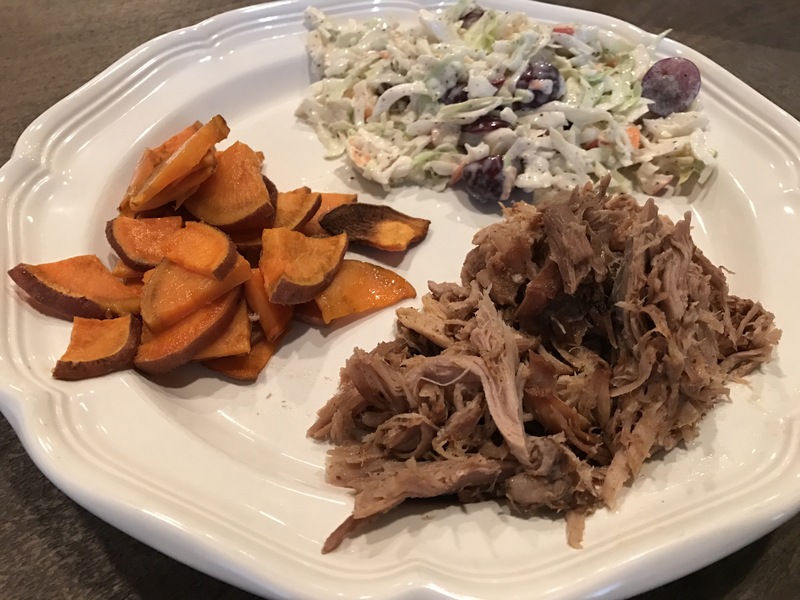 It turned out to be pretty tasty, and paired perfectly with the apple cider pulled pork recipe that I also made that day. My hubs even liked it and took it to work for leftovers! This dish has the perfect balance of crunchy, savory and sweet, and was so easy to put together! Add all dressing ingredients into a small bowl first and whisk together. 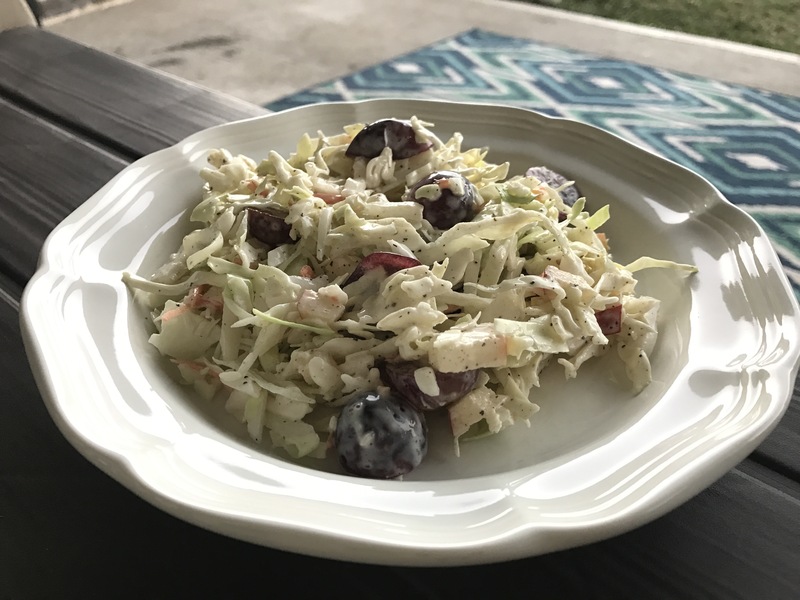 Place the cabbage, grapes and apple into a larger bowl and drizzle the dressing over the salad. Toss well until everything is mixed and coated with the dressing. Enjoy!